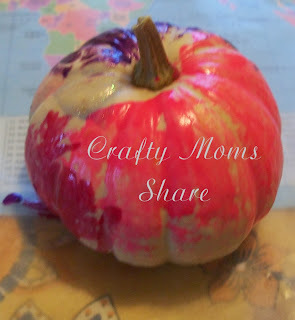 With Halloween only 15 days away, I thought I would share some of the ways we have been decorating pumpkins and more!! I guess I better get serious about sewing Hazel's costume. This year we planted some pumpkins in our garden. We saved seeds from last year's pumpkins and bought a pumpkin plant. We saved seeds from white pumpkins and sugar pumpkins. Apparently white pumpkins take over and don't grow white the next year. We ended up with two (and there is one more small one out there) skinny and kind of tall orange pumpkins. These took over the pumpkin area and also hindered the zucchini (we got our first zucchini of the year last week now that the pumpkin vine is dying off). 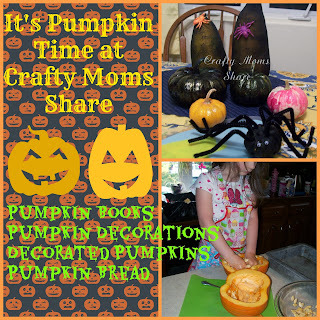 When we were at Hazel's best friend's house for a playdate a few weeks ago, they had already decorated and had some great pumpkin ideas, so we borrowed a few of theirs with a few changes. They had found a kit to make two black lace pumpkins at Target. 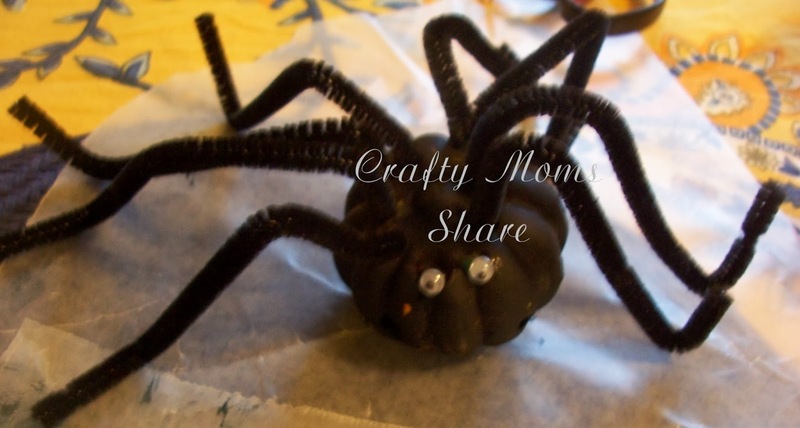 It came with pom pom spiders. 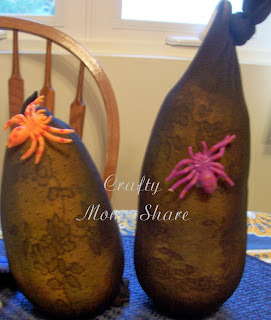 We did not find the kit at our small Target, but found some black lace tights and stretchy spiders. We used our homegrown pumpkins since they were so skinny. Total cost was $6. They also had a pumpkin they painted with blackboard paint and then her friend wanted to spray it with gold spray paint. The result was beautiful. 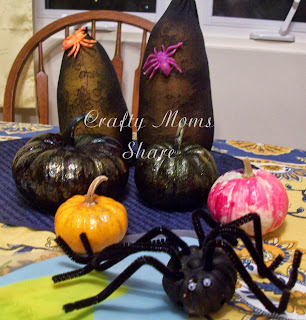 We used gourds for the rest of our decorations since I have been told to watch my spending. Since we did not have blackboard paint, we used Hazel's black tempura paint. 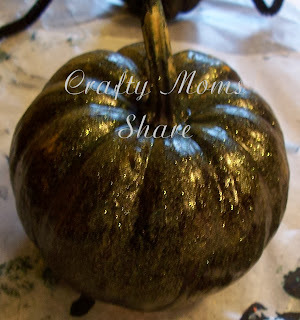 I had some gold glitter paint and did another coat with it. The one problem with the tempura was the other paint made it watery again, so there are some orange spots showing. We also did one black and then Hazel used her glitter nail polishes to decorate it. She used blue, pink, gold, silver and multicolored glitter nail polish on it. 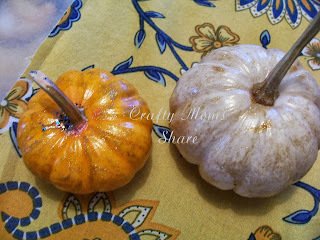 I had painted two gourds with the gold glitter paint--an orange gourd and a white gourd. Then Hazel added some of her glitter nail polish to the top of the orange one. Hazel was having so much fun painting with her nail polish that I bought her another white gourd to paint. (She also painted some acorns with it.) I thought she would use the glitter ones, but she decided to use the solid colors first. Finally when I was at Target again, I saw a kit using a fake gourd and making it a spider. 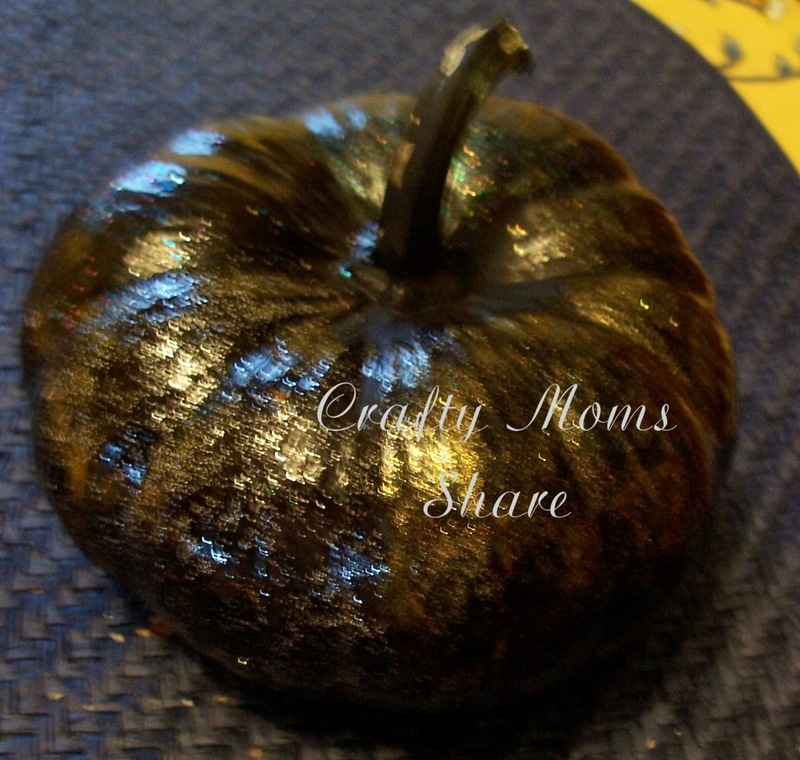 I knew we had some fake gourds that we used for turkeys last Thanksgiving and we painted one of those black. Then we used pipe cleaners to give it legs and glued on eyes. 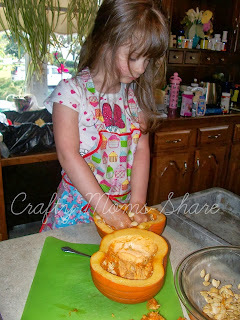 We also made some pumpkin bread last week. We first cut open two sugar pumpkins and enjoyed cleaning them out. Hazel had the best time playing with the goo and seeds. 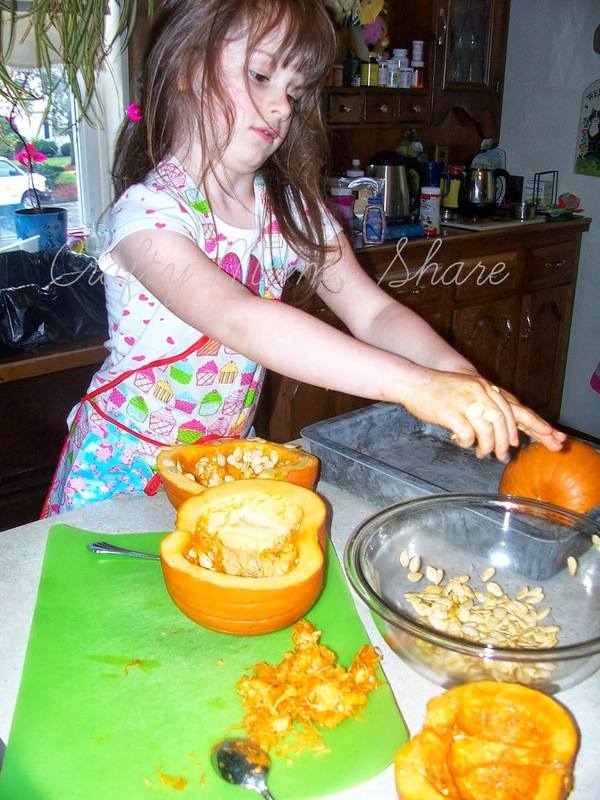 I believe she said, "Sometimes it is fun to get messy." Then she liked the feel of the seeds and trying to get them offer her fingers. After they were clean we baked them in the oven for an hour and a half at 350. Then I pureed the insides and put it in the refrigerator. 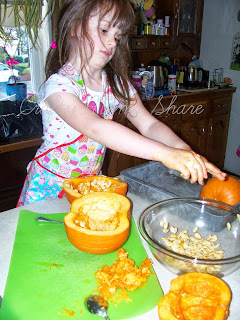 We made pumpkin bread later in the week. We used the recipe here, but changed it to be gluten free. One loaf we ate and the other we brought to her school for Grandparents' Day. 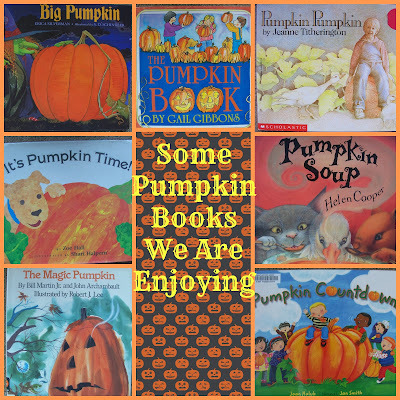 Finally some of the pumpkin books we have been enjoying lately. 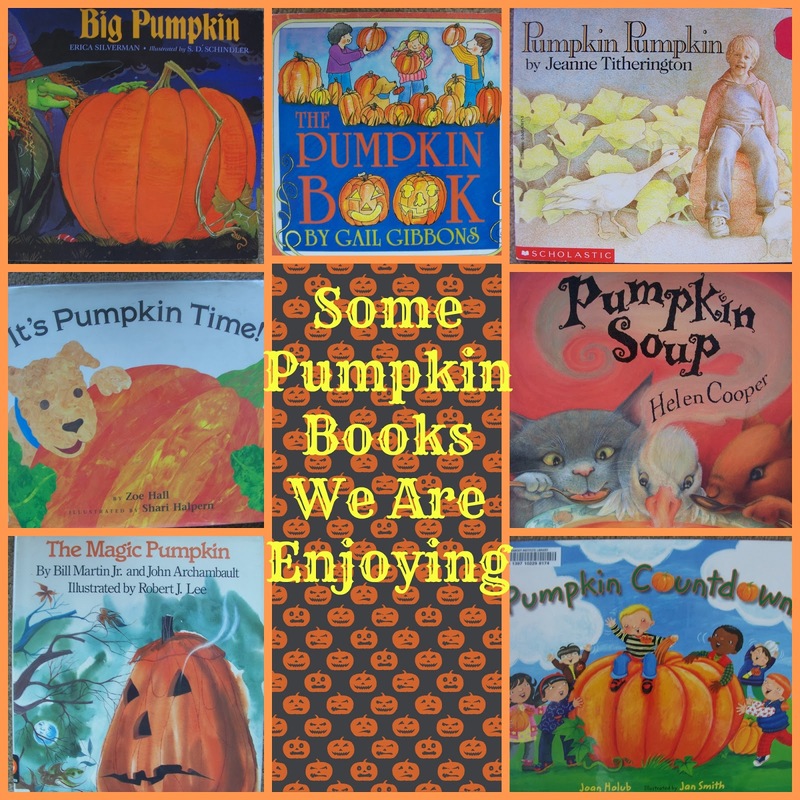 Big Pumpkin by Erica Silverman is among one of Hazel's all time favorites! Three of them go into how pumpkins grow. 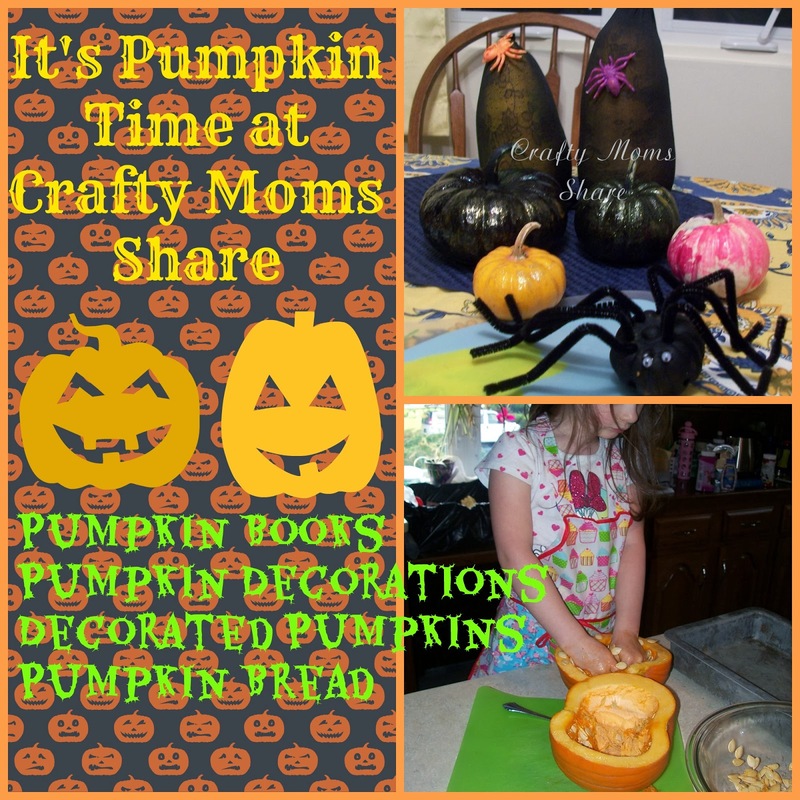 We also shared the Pumpkin Fairy story a few years ago. Are you getting ready for Halloween?